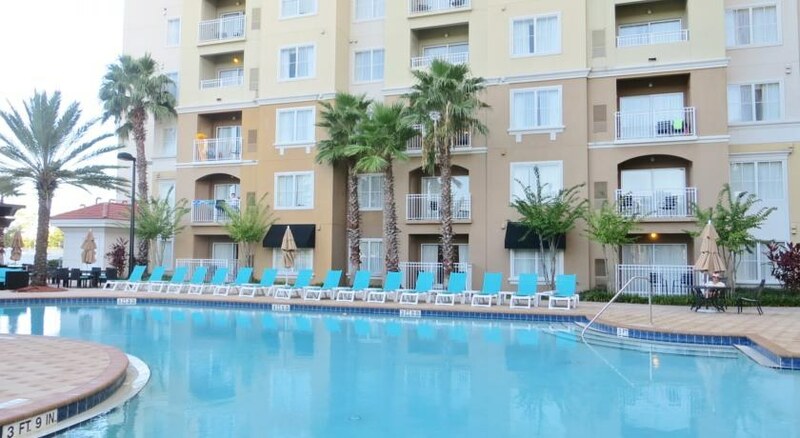 The Point Orlando Resort provides a shuttle service that takes guests to local theme parks and also hosts a range of amenities on-site such as a restaurant, bar, fitness room and free Wi-Fi. The hotel is close to the main attractions in the area such as Universal Studios, SeaWorld, Florida Mall and Walt Disney World. It is less than a mile away from International Drive. With rooms and suites that can sleep between four and eight people. 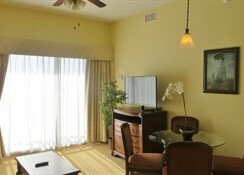 The Point Orlando Resort is suited to couples, families and children. There are various shopping opportunities nearby to the resort as well as several golf courses and this hotel provides relaxing accommodation near the major sights. 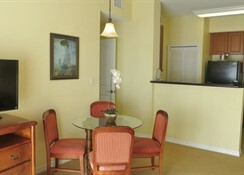 It is less than a mile to International Drive from The Point Orlando Resort. The hotel is located close to the other main sights in Orlando such as Universal Studios (1.2 miles), SeaWorld (3.3 miles), Florida Mall (4.1 miles), Epcot (7.7 miles) and Walt Disney World (7.7 miles). In addition to the Florida Mall you will also be close to a range of other shipping opportunities such as Bayhill Plaza Shopping Center and the Orlando International Airport is 9.5 miles from the property. There are five accommodation options at this resort that sleep between four and eight people. 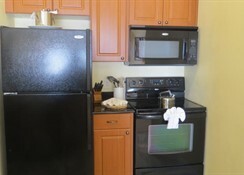 Executive King Studios have a kitchenette, one extra-large double bed and sofa bed. 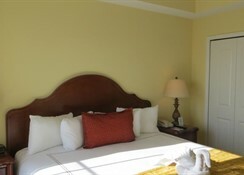 King Rooms come with two king beds while the Deluxe One-Bedroom Suite had a spa bath, living area and space for four people. There are also Two Bedroom Suite options that have a fully-equipped kitchen and have room for up to eight guests with a separate living area. 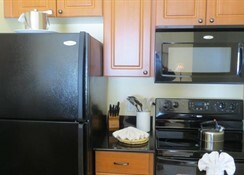 There are two eating and drinking options at The Point Orlando Resort. There is a breakfast buffet service that is open from 6.30am to 11.00am every day while the Cabana Bar and Grill provides a selection of drinks and snacks such as burgers and flatbreads. Given its location on Universal Boulevard there are a variety of local and chain restaurants and bars a short walk away. 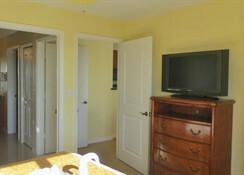 There is an outdoor pool and hot tub on-site at the resort and guests can also stay active in the fitness centre. You can play on a variety of local golf courses including Arnold Palmer’s Bay Hill Golf Course, Disney’s Lake Buena Vista Golf Course and Shingle Creek Golf Course. Shoppers have a range of options too including the Florida Mall and Bayhill Plaza Shopping Center.